In a world filled with stress, anxiety, and things out of our control, emotional intelligence has come out as one of the greatest weapons against them. 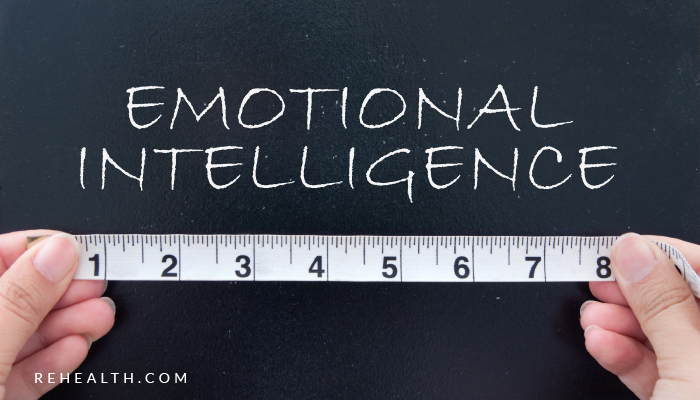 Emotional intelligence is having the ability to name, control, and develop awareness of your emotions. Emotional intelligence is also key to mantaining healthy relationships personally and professionally. Recognizing our need for emotional intelligence or better emotional management is the first step towards advancing and becoming better versions of ourselves. 1.- Name Your Emotions: Many times we find ourselves feeling off but not necessarily being able to recall what it is. Labeling our emotions is key to their proper management. So instead of saying “I felt bad” let’s say “ I felt ignored” or “ I felt sad”, etc. 2.- Identify The Source: Often we feel stressed out or anxious about things that we can not control, but we carry them around as if we can. Learning to identify the source of the emotion is great because it helps you see the origin of it and it also allows you to recognize what to own and what to let go of. 3.- Unplug: Have you ever noticed that when your phone is acting slow the best solution is to turn it off for a few seconds and then when you turn it on, it starts working perfectly fine? Same happens with us. Many times we go in life saturated with information and the best solution is just to unplug. Taking a digital detox can work wonders for your mental health. According to recent studies, spending an increasing amount of time on social media is linked to depression, comparison, and anxiety. On the other hand, taking a social media detox can make you feel more present, productive, and better at reading other people’s emotions. 4.- Meditate/Pray: Lots of evidence points out to the incredible emotional benefits of mindful activities such as meditating and praying. In a study, scientist analyzed negative emotions and stress in a group of 20 students. Researchers found that those who practiced some mindful activity were in a better mental state than those who did not. 5.- Be Grateful: Gratitude rewires your brain into focusing on the positive things. Naming the things that you are grateful for at the end of the day can have a tremendous impact on your mental health and emotional management. Taking a moment to appreciate your life will totally shift your perspective and will help you step into an appreciation of the good. Remember, you are what you eat but also what you think. Being more conscious of your thoughts will help you manage your emotions better and will get you a different perspective into what is real and what is catastrophically invented. As Charles R. Swindoll quotes “Life is 10% of What Happens to Me and 90% of How I React to It”, so let’s focus on the good and what can be done to solve negative situations.